Family Duty Counsel brochure – provides an overview of what family duty counsel can and can’t do. Includes how to find services near you. 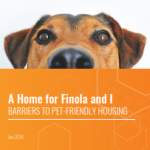 A review of the benefits of living with companion animals as well as the barriers to accessible pet-friendly housing in Vancouver. Published in January 2018, this paper was written by a law student as a research assignment for a course. An online tool that helps to put a dollar figure on the out-of-pocket costs to individuals and families during a family law dispute. It uses typical stories and experiences to provide snapshots of family law costs. New extended hours for Kamloops, Nanaimo, New Westminster locations: Monday to Friday, from 8:30-12:00 pm, 12:30-4:00 pm. The help sheets and videos from the series “How I Need to Know” are now available on Clicklaw. The publications provide information for people with disabilities who are victims of crime. See the listings here (sorted in alphabetical order). The Child Protection Process (flowchart) – updated flowchart. Updated booklet explaining what happens if the Director of Child Welfare has concerns about a child’s safety or plans to remove them. The second booklet in the new series Your Welfare Rights. Describes monthly welfare benefits and supplements and how to get them. Plain language booklets helping an accused person represent themselves in a criminal matter. Revised design and content in each. If You Can’t Get Legal Aid for Your Criminal Trial: How to Make A Rowbotham Application – updated English version only. If You Can’t Get Legal Aid for Your Child Protection Case – updated English version only. New plain language guide for Gladue report writers. Updated plain language booklet about Aboriginal harvesting rights. This new insert is now added to the booklet Income Assistance on Reserve. The Parents Legal Centre (PLC) provides a lawyer and an advocate to help parents in select locations settle their child protection matters early on and collaboratively (everyone works together). Locations: Surrey and Vancouver. Updated with content based on questions from public and professionals, e.g. the difference between EPA & PoA, how do I know if I have an EPA? Power of Attorney or Enduring Power of Attorney? Updated with an upfront focus on wording to check for if someone has an Enduring Power of Attorney. New fact sheet explaining who has the legal authority to settle an estate and gives examples of how an estate must be distributed if there is no will. Understanding Canadian law on issues of online harassment, exploitation, & abuse. Now available in Arabic, Chinese (simplified & traditional), Punjabi, and Spanish. Co-published with Legal Services Society. This project is intended to make recommendations to reform the Strata Property Act, in seven identified areas, to help in the development of the next generation of strata-property law in British Columbia. Their work on legal issues affecting the environment in BC have been recently added to Clicklaw. See the full listings here and some of their most recent reports below. A program for landlords & building/property managers in BC. For $39 plus tax, enrollees receive access to the e-learning tool I Rent It Right™ and a 3 year access to the online tool kit. This program provides them with fundamental education & best practises in regard to the Residential Tenancy Act. This new service is available for you to appeal the property assessment of your residential properties. It allows you to have the option to resolve your appeal completely online. This study describes the results of a survey of family law lawyers and their views of the use of collaborative processes, mediation, arbitration and litigation in family law disputes.